A bedroom in the house is the only place where we are most likely to stay for an extended period. 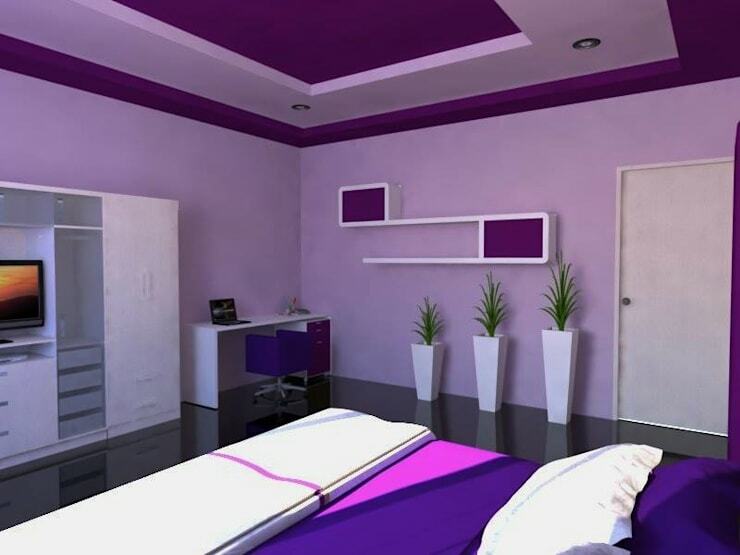 Beautiful designs with attractive wall colour in a bedroom can make a huge difference in its interior. While some colours are suitable for all four walls, others should be used only to highlight a single one. For an individual and appealing design, unusual colours can be utilized which can help create a fantastic ambiance with their charm. However, the soft and delicate tones with their reserved beauty can also provide a relaxing atmosphere. These can be an excellent alternative to the traditional white on the wall. The coloured walls of your bedroom can be combined with other materials, thus, providing an elegant interior design change. In case you are wondering which colour for the bedroom is ideal then you must read this ideabook. The colour black has been famous world over for ages. However, it can do a lot more than just being regal. The colour stands for classic elegance, which always combines perfectly with other tones. Particularly interesting is the interplay of the colours black and white within the room. It has also allowed the designer to set outstanding accents and contrasts. The proven advantage of the colour black is that it can be combined with all other colours and can get a whole new face every time. The interaction of black with red and violet is particularly mysterious. Using gold or silver accessories together with black walls can also create an exclusive and noble ambiance. The ever-present beauty and practicality of this colour never go out of fashion. In other cultures, the black colour is considered more favorable than in the European ones. In the bedroom, the colour lime green can be used, because it imparts a natural elegance. It also looks casual and relaxing. In general, the colour green is suitable for living rooms, because it has a soothing effect on the mind and also a soft touch. If the colour is combined with shades of blue, yellow and white once can achieve different nuances. Green is also psychologically connected with youth and freshness, as well as with spring season. Until the middle ages, it is also the symbol of love. In the wild, the colour is even associated with paradise because it reflects the lush green of nature. Appealing and delicate colours like lime green can give each room a stylish vintage charm. It can also be combined with earthy wood tones and breezy white. This green shade can also be used together with accessories in pastel tones such as a delicate yellow, pink or light blue. The colour taupe is available in different versions. The base shade of the colour taupe is dark gray, which has a ting of brown. 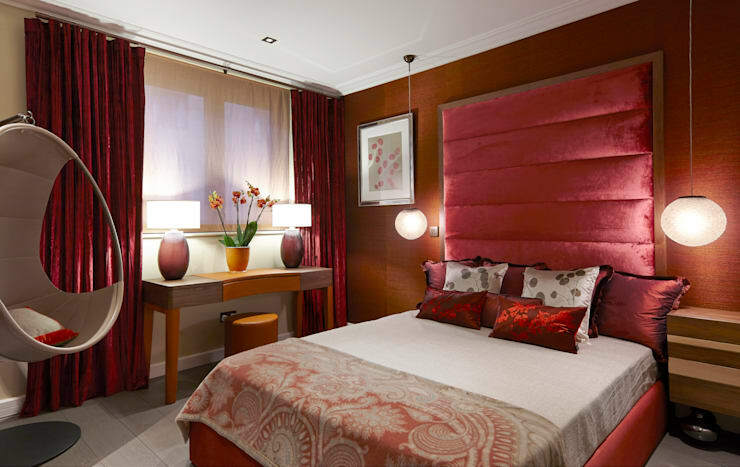 It is also possible to add warm colours such as red to create variations of purple or medium taupe. Even creating nuances of a beige tone or mauve are possible. 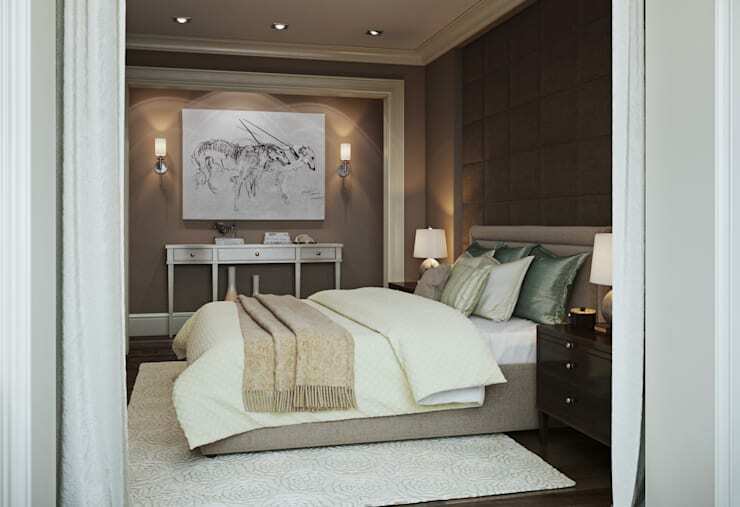 The unique feature of this colour is that it combines the cooling element of gray with the earthy radiance of brown to form vibrant wall colours for the bedroom. An advantage of taupe is its excellent effect when combined with contrasting colours like red or white. Through the use of bright colours with taupe, it’s rather a dark appearance can be pleasantly freshened while still maintaining a cozy and classic look. These nevertheless are inspired through particular design choices, because taupe is not a typical wall colour. 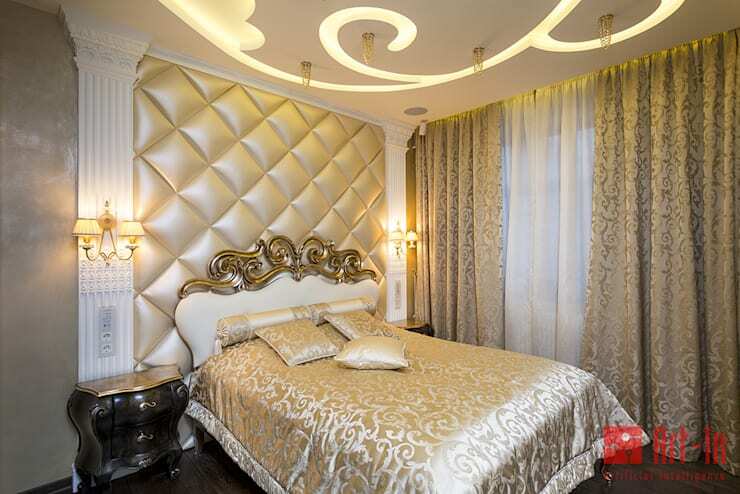 Such walls are not only luxurious looking, but they can also create a refined and relaxing ambiance. The colour red has been used for many centuries. It was also the first colour used for cave painting. Psychologically, the colour red is associated with life, energy, and heat. Red is also a lucky colour, with which, entrance doors were painted to prevent the entry of diseases and evil spirits. Until this day, the colour red is of great importance and is a symbol of happiness for most European and Asian countries. The colour of copper red is noble and fiery at the same time. It combines the elegant brown touch of the copper with the fiery glow of red. In the bedroom, this colour can be mixed perfectly with designer wooden accessories. Combining this colour with accessories made of gold, silver or copper can look very luxurious. Together with the copper wall, they can create a royal ambiance that invites you to linger and feel good. The colour gold stands for an exclusive splendor. Its importance is associated with the precious metal gold, whose brilliance has always fascinated people. Therefore, wealth and an elegant life style are linked to the colour gold. Apparently, the sun is also associated with this colour. Such a bedroom wall colour creates a unique and magnificent charisma. It can also be combined in a variety of ways. The gold coloured walls together with white or cream look particularly noble and airy. The combination of gold with fresh colours such as a navy blue, turquoise and green always looks stylish. Majestic is the combination of the mysterious colour violet with the glittering gold. While the bright red and shining gold are considered authoritative. Violet is an elegant beauty that has a unique charm. It is a blend of the warm colour red and the cold tone blue. Therefore, it allows you to create many different nuances and shades. In colour psychology, violet has a peculiar interpretation because it connects two different aspects. The cool blue shade is connected with intellect and the thought process. Whereas, the bright red represents sensuality and the emotional world. Since this colour is not used very frequently in the interior design, it gives each wall a unique flair. Violet walls in combination with metallic accessories, such as golden bowls or silver candlesticks, are particularly noble and luxurious. The conjunction with white or black also appears very elegant. Which one of these colours inspired you the most?